I even iced the cake with bullets! Calibre appropriate! 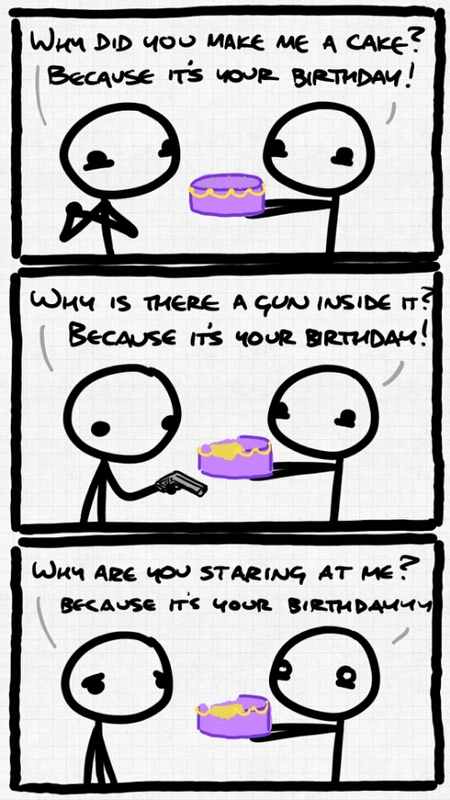 This comic was posted in Comics and tagged birthday, gun, hissssssss, looks so cold and delicious, staring.